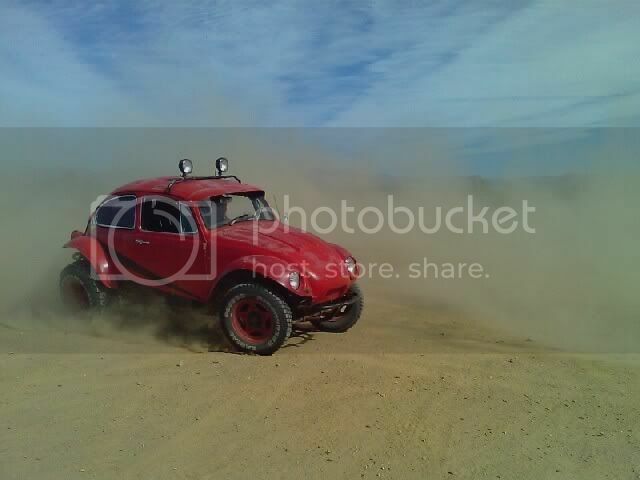 AzBaja.com, Home of the VW Baja Bug -:- Baja Forums -:- VW Volkswagen Bug, Baja, Bus, Sandrail and Thing -:- VW Volkswagen & Baja Bug General Discussion -:- First trip! !== SUCCESS! 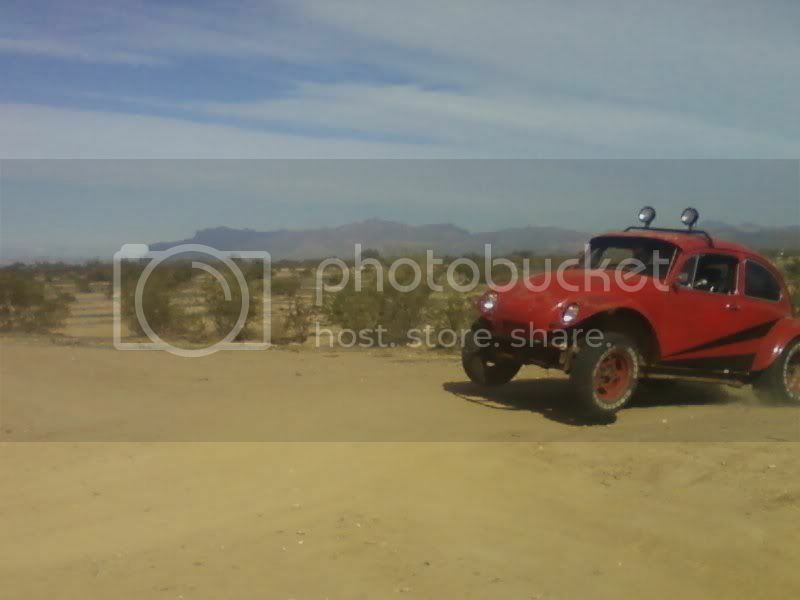 Baja Forums -:- VW Volkswagen Bug, Baja, Bus, Sandrail and Thing -:- VW Volkswagen & Baja Bug General Discussion -:- First trip! !== SUCCESS! Post subject: First trip! !== SUCCESS! Took the my baja out to Florence (about 5 miles north of the Artilery range off of the 79). Nothing to crazy out there but enough to keep me busy and happy. We forgot the Camera but we used the phone camera to take a few pictures. It was a great first trip!...Just a few more like that to make sure the bugs are worked out and I'll be ready to go on a real trip. 1967 baja, 1600 DP, 6 point cage,. Congrats on a sucessful first trip!! Post subject: Re: First trip! !== SUCCESS! Thats a great place to ride a lot of different terrain. 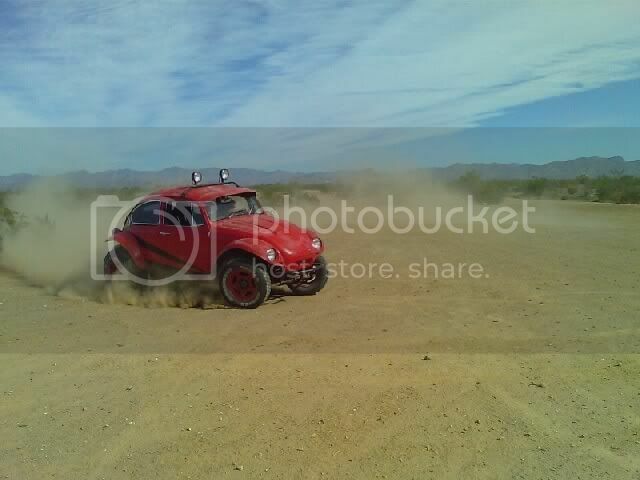 Next time post when you are going out and lets see if we can get an AzBaja offroad trip. It looks artsie sky ground contrast good etc. 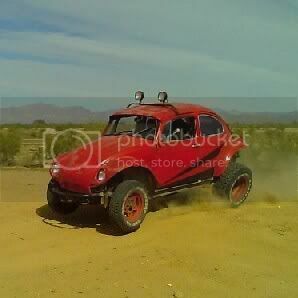 If the Baja was not in it nature type people would buy them. 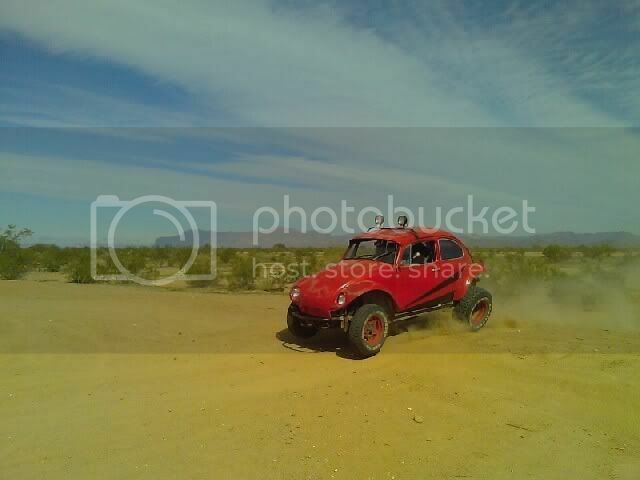 The dust cloud behind the baja looks very cool, goood shadows etc. I agree Eric! When I saw them I thought, "Man, those are really cool pictures to be taken with a phone camera!" I especially like the first one in Eric's quote. Man, I wish I would have taken some pictures of my old rail when I use to go out to the old rock quarry on Lake Pleasant road a few miles north of Jomax. Cool pictures bajaboi! Oh I get it now AZ baja :0 thanks, they are pretty good for a phone camera I never really noticed... May be going out on the 21st, to the same area. I will let you know more as it comes closer maybe we could get a few people together or something, but like i said I'm still working on getting the bugs out. Got it to idle but than right at the end of the day it stopped. so I'm not goin to be perfect and I'm a little outclasses by everyone elses rigs. let me know and i will tell my brother and we will go probably. Very Nice. 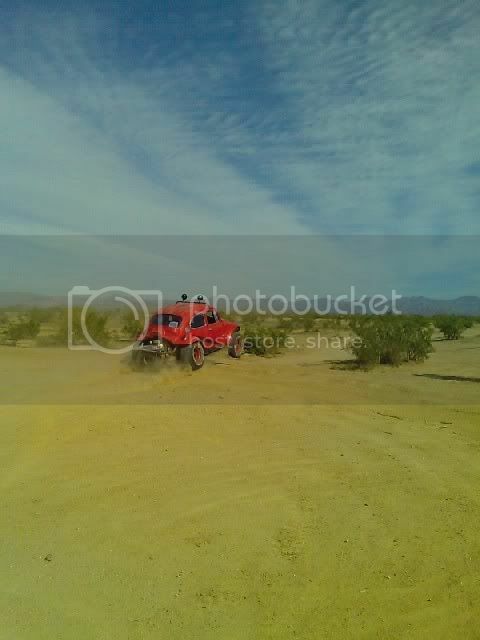 I remember my first ride in my Baja. It was great. Nice pics too. The Constitution is not a suicide pact. 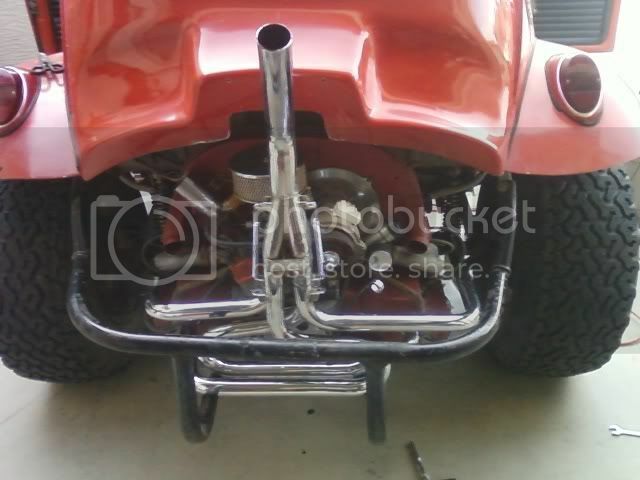 new exhaust that I bought at Copperstate. Going out for another small trip tomorrow. Than we need to set up an azbaja trip.It's getting hot early this year!! Wher is your skid plate. Where are you going?